The ESRF will host the 21st International Magnetic Measurement Workshop (IMMW21) from 24th - 28th June 2019 in Grenoble, France. IMMW21 is a week long event, with the aim of providing a forum for presentations and open discussions on the equipment and techniques used to measure, characterise, and fiducialise magnetic fields - typically of accelerator magnets and insertion devices. See Submission of abstracts for further details on these topics. Located in the heart of the French Alps, Grenoble enjoys an exceptional geographical location and natural environment making work and leisure easy to combine. 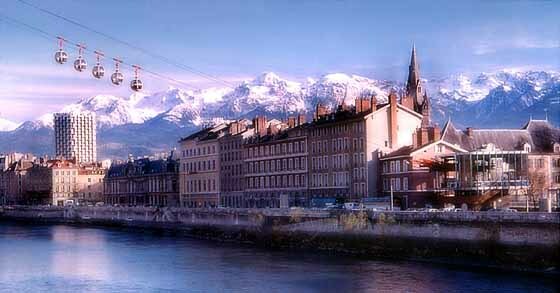 As an Olympic and cosmopolitan city, Grenoble offers cultural, sporting and social diversity and a wealth of heritage and touristic sites making it open to the world. The city remains an international centre of excellence, in which industry, research and the university traditionally work hand in hand, continually fostering a real spirit of innovation. The European Photon & Neutron - EPN science campus is an international science hub in Grenoble, hosting three major European institutes - EMBL, ESRF and ILL - along with the IBS and joint partnerships (http://www.epn-campus.eu/). The ESRF is currently designing and building the next generation synchrotron light source in the framework of its Extremely Brilliant Source - EBS project.